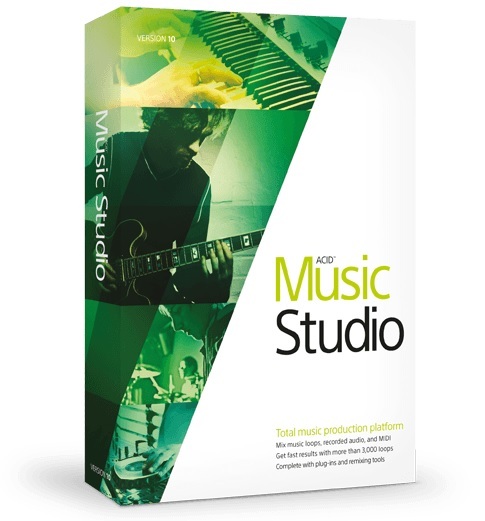 MAGIX ACID Music Studio 10.0 Build 134 Multilingual Portable | Free eBooks Download - EBOOKEE! ACID Music Studio is the perfect tool for loop-based music creation, audio recording, MIDI production, effects processing, and studio-quality mixing. Create and share your music burn CDs, upload to the Web, or export MP3s for listening on your favorite portable players. With built-in tutorials to guide you, youll be composing, editing, and mixing like a pro in no time even if youre a newcomer to the world of computer music. ACID Music Studio is packed with built-in signal and effects processing tools, including élastique timestretching, EQ, reverb, delay, chorus, flange, phase, distortion, and echo. VST plug-in support opens the door to a massive world of signal and effects processing options, as well as all the best in today's virtual instrument offerings. ACID Music Studio 10 includes Studio Devilâ„¢ British Valve Custom guitar amp and TruePianosâ„¢ Amber Lite piano plug-in - a set of powerful studio-quality software packages. TruePianosâ„¢ Amber Lite is a high-quality VST piano plug-in which includes options to control dynamics and reverb for the most realistic piano experience. No comments for "MAGIX ACID Music Studio 10.0 Build 134 Multilingual Portable".